The world’s population is getting older, since people live longer as a result of our modern healthcare. As people age, their bodies become less able to respond to infections and develop immunity, a process called immunosenescence. One of the most dangerous infectious diseases for the elderly is the flu. Thus, influenza vaccine effectiveness is an important factor for protecting the health of our elderly citizens. Influenza attacks all ages, but the highest rates of complications and mortality are in the elderly, those 65 years old and above. And if those individuals have a comorbidity such as diabetes, hypertension or cardiovascular disease, the risk of death goes up significantly. Worldwide, the flu averages between 250 and 500 thousand annual deaths. The elderly account for 90% of those deaths. According to the CDC, there is a wide variety of complications that arise from upper and lower respiratory tract flu infections. Pneumonia, brain, muscle and heart inflammation, and multiple organ failure are the more serious complications from the flu. Influenza is the leading cause of admission to the hospital from infectious diseases among seniors. Because of the aforementioned immunosenescence, influenza vaccine effectiveness is often lower in the elderly. Moreover, the elderly have a higher incidence of having a comorbidity that increases the risk of serious complications from the flu. Recently, Gravenstein et al. published an article in Lancet Respiratory Medicine which examined whether a quadrivalent flu vaccine could reduce the risk of hospitalization among seniors. The results supported the effectiveness of the quadrivalent vaccine. The study included 38,000 residents of 823 nursing homes across 38 states during the 2013-14 flu season. Half of the nursing homes provided the standard dose of flu vaccines, while the other half administered the quadrivalent version. This is a fairly large clinical study which means that the results could have a stronger statistical significance. 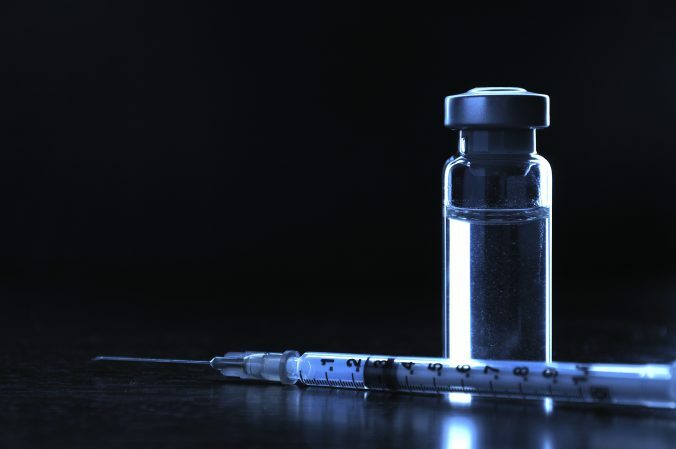 The study showed significant reductions in hospital admissions in the group that received the quadrivalent version of the vaccine. There was an 8% reduction in hospital admissions due to all causes in this group. There was also a 21% reduction in hospital admissions related to pneumonia. There was a 13% decrease in hospitalization for respiratory illness. The study also showed some decrease in hospitalization for other flu related issues such as cardiovascular problems. Influenza vaccine effectiveness has been argued many times as a reason to not take the vaccine. For those most susceptible to complications from flu, the elderly, children and those with chronic health conditions, the flu is quite dangerous. One should not consider the flu as trivial. This large study shows significant reductions in risks of complications and hospitalization in the group getting the quadrivalent vaccine. Once again, influenza vaccine effectiveness is supported by this data. Gravenstein S, Davidson HE, Taljaard M, Ogarek J, Gozalo P, Han L, Mor V. Comparative effectiveness of high-dose versus standard-dose influenza vaccination on numbers of US nursing home residents admitted to hospital: a cluster-randomised trial.Lancet Respir Med. 2017 Jul 20. pii: S2213-2600(17)30235-7. doi: 10.1016/S2213-2600(17)30235-7. [Epub ahead of print] PubMed PMID: 28736045. Previous PostPrevious DNA kits by mail order – accuracy of determining your ancestry?